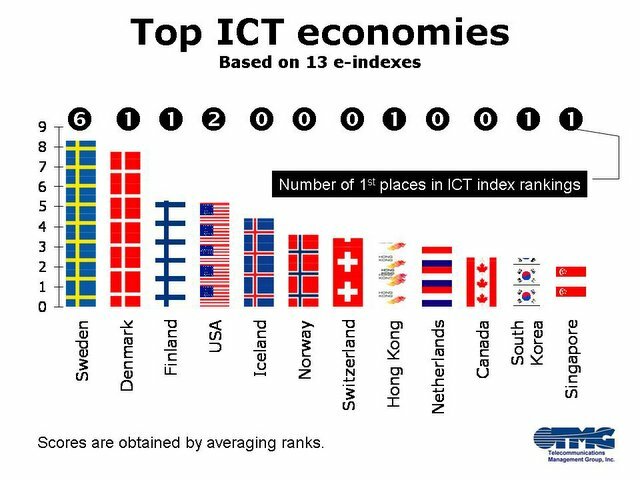 The Nordic countries are the most digitally developed in the world, sweeping four out of the top five ranks. This is based on an average of ranks in over a dozen ICT indexes compiled by different organizations. 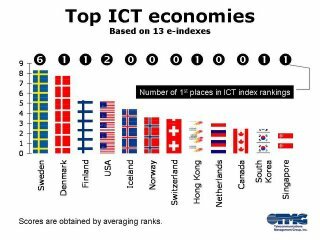 Sweden is in a league of its own, sweeping first place in almost half the indexes.